Inspired by the look of skin bathed in summer evening light, this illuminator creates an irresistible, translucent glow. Its peach-pink shade flatters every skin tone while moisturizing and soothing skin, and its highly micronized pearls diffuse light for a naturally enhanced, sun-kissed look. Apply the illuminator all over the face on its own, or mixed with tom ford traceless foundation, to achieve radiant and balanced skin. The illuminator can also be used as a highlighter under or over makeup. I assumed because of the cost and the brand name that I would be getting a pretty amazing product - but it's NOT! The box is the prettiest part of this product. The packaging on the actual bottle is totally unimpressive, it's VERY pink and liquidy. I have very tan skin but this does not show up at ALL. I am so sad that I wasted my money. I mix it with foundation and it gives me a lit from within glow. I highly recommend this illuminator.. One of the best I've tried. I've used Becca and Marc Jacobs previously. It's a gorgeous shade. I mix it in with my foundation for a beautiful radiant glow in the summer. For fresh, luminous skin, I love mixing this with either foundation or moisturizer. It overall brightens the face and brings your best features to light. Fire Lust is so unique and gives the skin the perfect sun kissed touch. I like applying to high points of my face where the light hits. Can also be mixed with a tinted moisturizer or foundation for glowy skin. i love this glowy illuminator. 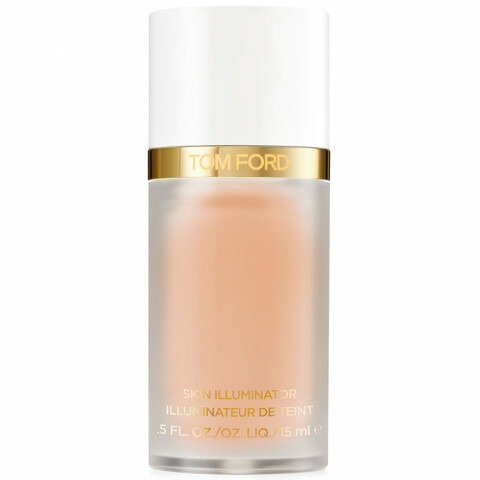 it is great to mix it in with my foundation or tinted moisturizer during the summer to give a healthy glow to the skin. feels and looks amazing! Love adding this to my foundation or using it alone to add the perfect glow to my face. This is a shimmery liquid highlighter, but it is too dark on my light-medium skintone. I use it as a blush topper instead, and occasionally to mix in with foundations during the summertime. There's nothing like it. The color is divine - the perfect rose gold. Perfect for fair/light skin, as if your cheeks had been kissed by the sun.